There is an allure that lurks behind the navy blue doors at Günter Seeger New York. Despite being open since 2016, it remains a mystery to much of New York, and even to much of the world. 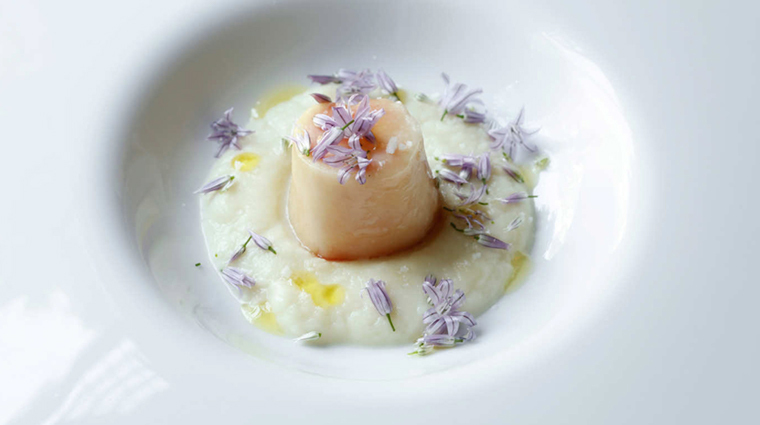 Günter Seeger is a talented toque from a different era of fine dining. He is a pioneer, a former trendsetter gone unnoticed in a new generation of young chefs who offer approachable refinement in their cuisine, and in their dining rooms. Chef Seeger’s pristine attention to detail demands as much from his guests as they do of him. His strict demeanor is something to admire, though. This disciplined leadership is passed down to his front-of-house staff, and like stepping through a looking glass, an unexpected experience at Günter Seeger New York begins the moment you walk through that unassuming navy blue door at 641 Hudson Street. This is hospitality at its finest. The young men manning the door greet you as if they have known you for years. The quaint dining room is appropriate for a romantic evening or any night out with friends — it is hushed, allowing conversation to flow easily with faint music playing in the background. The menu changes daily and with advance notice, can be tailored to meet specific dietary restrictions. Gluten free? Of course. Pescatarian? Certainly. Alpha Gal? No problem. The “less is more” theme at the West Village restaurant makes no exception for the wine list. One page dedicated to only German vintages is an aficionado’s delight, though fantastic producers and bottles from Burgundy, Bordeaux and a selection of only the best from Piedmonte are also on hand. The best seat in the house can be found at the chef’s table, a communal spot offering unobstructed kitchen views with room for no more than nine guests. 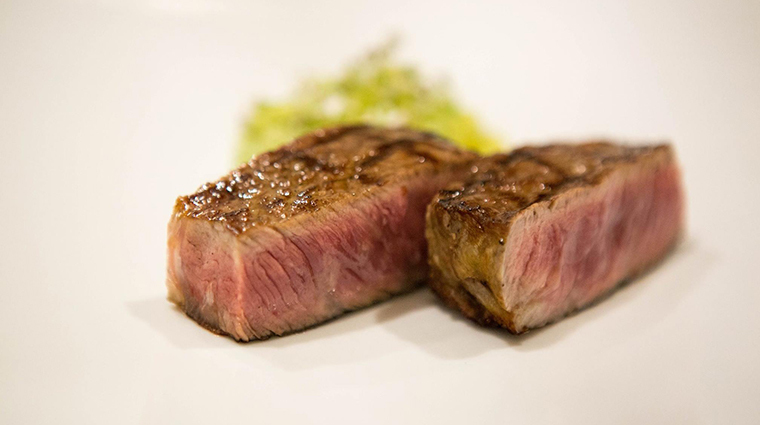 You’ll be able to watch as your exclusive 11-course tasting menu is masterfully prepared before your eyes. Ladies, wear your Blahniks and gentlemen don your bow ties and jackets — the Günter Seeger New York dress code requires the latter. This is a restaurant worth dressing up for. This is not the spot for you if you’re looking for a quick bite. The four-course menu tends to last about two hours. 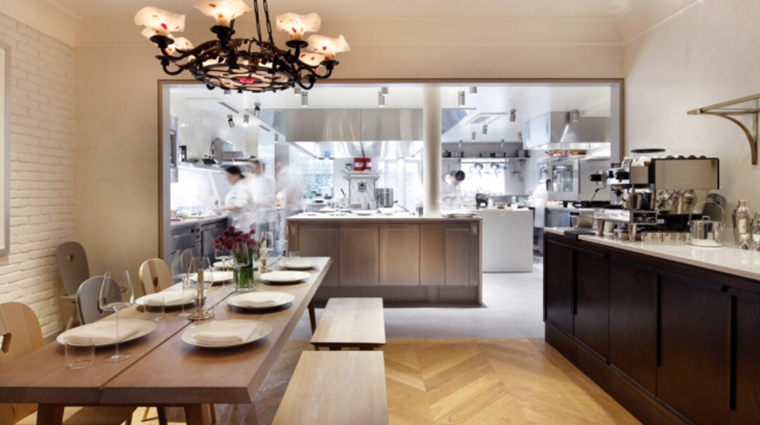 Winemaker dinners happen monthly at Günter Seeger New York’s chef’s table. You will only learn about these exclusive events through conversation with your server or on Instagram. This isn’t the place to linger with a cocktail before your reservation — the fine-dining restaurant doesn’t have a bar. Waiting in the foyer is an option, but not ideal and may be uncomfortable, as it is a confined space. Serving fresh, simple and pure food, chef Seeger prefers to let the integrity of his ingredients shine through in each dish. Your salad course, for example, might feature a braised Belgian endive, shaved périgord truffle and some simply succulent lardo. Seeger and his executive sous chef Olivier Gagne (a Boulud alum) venture to the farmers market four times a week to alter their daily changing menu. You’ll want to keep coming back to enjoy handpicked items, such as morel mushrooms, citrusy Buddha’s hand and nasturtium flower, that come and go with the seasons. Though the offerings change daily, it is nice to know the Oasis Farm egg — topped with bottarga, sometimes périgord truffles — will always be on the menu. The rich purple hues and mahogany details throughout the dining room create a warm oasis that invites you to get comfortable and enjoy the next three hours at the New York City restaurant. Zieher wine glasses imported from Germany are rare, dainty and will entice anyone to toast to a night out. Each delicate design even has its own name, such as Intense, Fresh, Rich and Straight. Original and unique pieces of art hang on the walls throughout the dining room and will surely catch your eye. The painting over the host desk in the foyer is an original Paul Chelko, who was one of chef Seeger's closest friends. Should you choose to dine at the stylish chef’s table (an elegantly simple piece of ash wood complemented by Luca Nichetto-designed Dolomite wood chairs), be sure to look up to admire Seeger’s grandfather’s hand-hammered chandelier.